No caramel was used – only dates and a drizzle of agave. 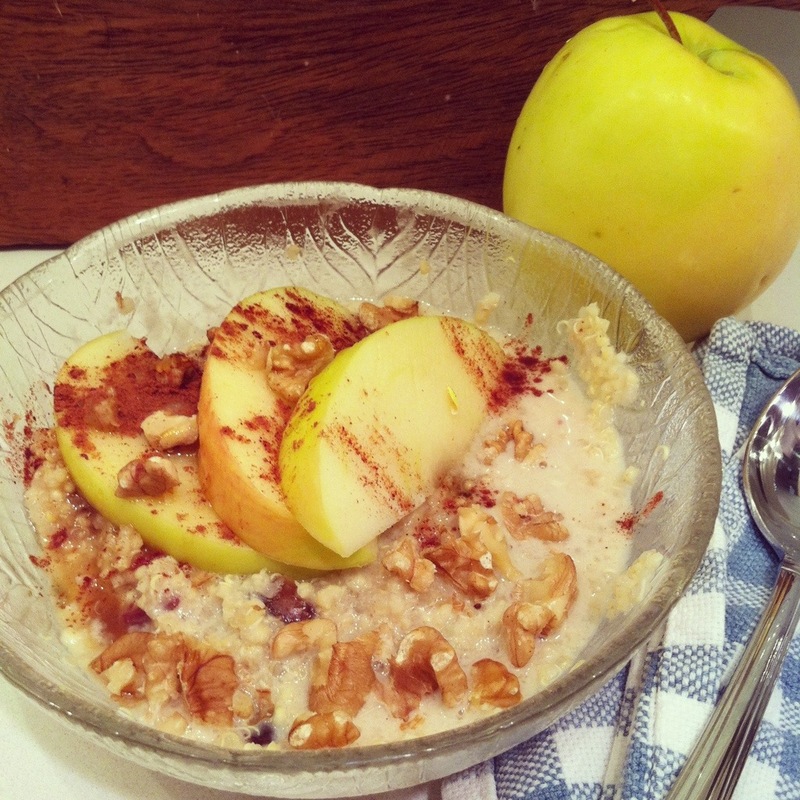 Chop up the apple, walnuts and dates into bite-sized pieces and stir them into the quinoa. Pour in some hemp milk, how much depending on your own preference. Drizzle agave and a pinch of cinnamon on the top. Blend the bananas and the SunWarrior. 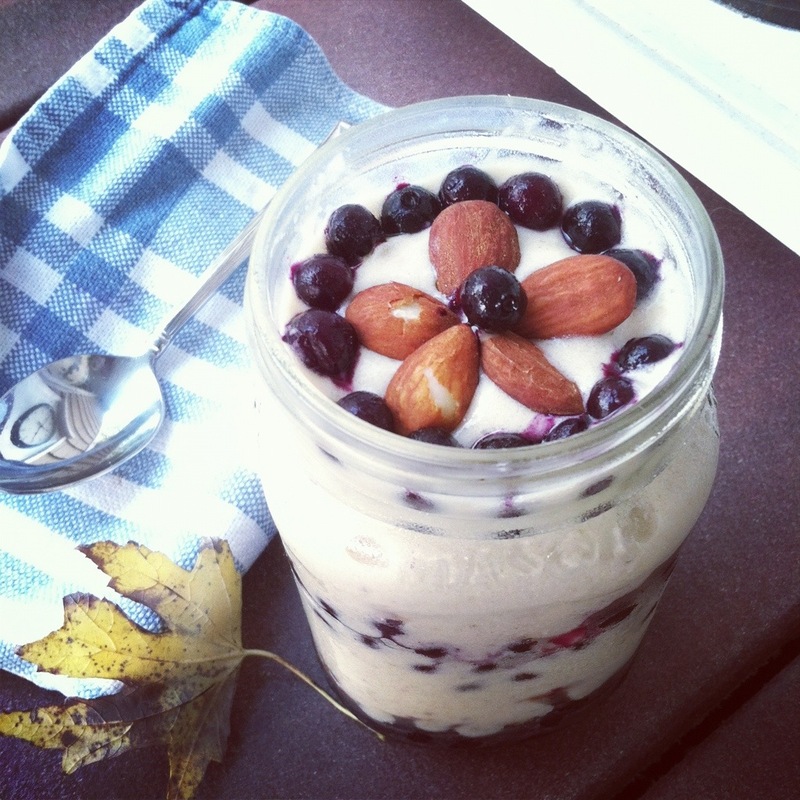 Line the bottom of a mason jar with blueberries and almonds (I crushed my almonds) and a drizzle of agave. Next, spoon in the banana whip. Repeat this pattern until the mason jar is filled.